Mark has long had a passion for the world’s tropical seas. His favorite TV show as a youth was The Undersea World of Jacques Cousteau. He worked for Dole Pineapple Company on the island of Molokai, Hawaii when he was 16 years old, so he could go snorkeling on days off. Mark still loves the sea and goes scuba diving and snorkeling every chance he gets. 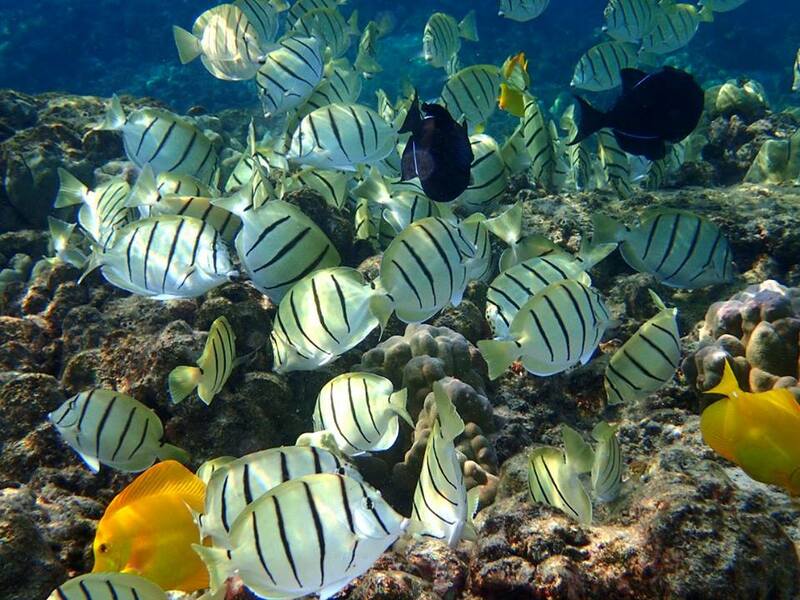 He has taken many beautiful underwater photos such as the one here of a school of fish in Ahihi Bay (Maui, Hawaii).